One of the best activities during the fall in Puyallup is fishing. 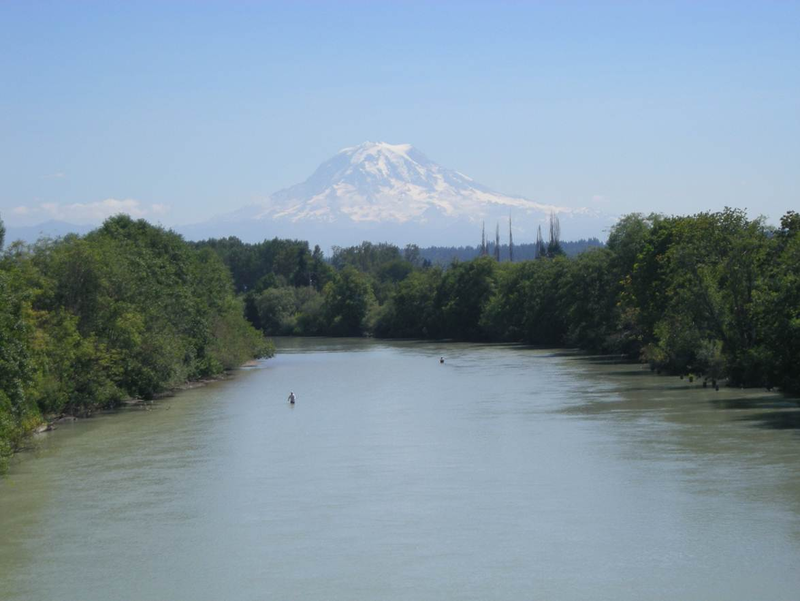 The Puyallup River is a scenic river that meanders through the city and offers many different areas to spend a relaxing day fishing. 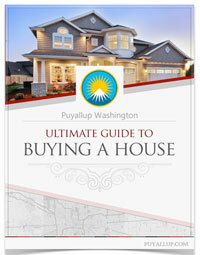 The Puyallup River is a 45 mile stretch of fresh water that runs into the Puget Sound a little north of Tacoma. This beautiful river is regularly stocked with varieties of Salmon and is also a historical spawning ground for all different kinds of Salmon and Steelhead. With the summer melting into fall, there is no better time to fishing gear out and catch some fish! Before gearing up and getting out there, Washington State requires that you get a fishing license. Washington State law requires different licenses for fresh or saltwater fishing. You can get a license that covers both so you are able to fish in both salt and fresh water without consequences. When you are fishing for salmon and steelhead, you will need an additional endorsement. These two types of fish can be caught in both fresh and salt water at different times of the year so make sure that you have the proper license for where and what you are fishing. It is recommended that you should purchase a combo license along with the special endorsement. There are year-long licenses along with one to five day passes depending on when you want to fish. Another issue to be aware of is that the Puyallup Indians have fishing rights to the river by the Treaty of Medicine Creek. Take the time to become familiar with the information provided by the Northwest Indian Fisheries Commission and be aware of any updates on their website. Fall fishing in Puyallup sees some of the best fishing of the whole year. September starts off the season with one of the best months to catch Coho Salmon in the saltwater areas just past the mouth of the Puyallup River. The Chinook Salmon start heading up the river in September however by October the Chinook are pretty much gone. Sometimes in November you might be able to catch some Blackmouth Salmon near the mouth of the river. The fall sees so many different options when it comes to fishing, so most fishermen and women consider it the best fishing season of the year. The best time of day to go fishing in the fall is in the afternoon and early evening. The water is warm because the sun is directly overhead and the fish start to come up near the surface. Also, the fish begin to put on weight for winter during this season so you can usually catch a bigger fish. 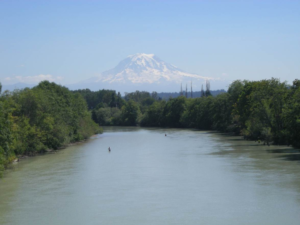 When looking for a place to fish along the Puyallup River, it is important to consult a river guide because different times of year can see good fishing in different locations. The website, http://www.northwestfishingreports.com, offers a search function along with reports with descriptions so fishermen and women can get a comprehensive idea of the river and fishing conditions. Keep in mind the best time of day to go fishing is either the early morning or in the evening. In general, on really hot days the fish will move to deeper waters to stay cool and comfortable. Make sure the temperature has been stable for at least a few days. Warm fronts cause surface water temperatures to increase thus causing a feeding frenzy for the fish. Fish are very keenly aware of changing weather patterns and will increase their feeding during the hours before a cold front. Water flow is also an important factor. When the river water level rises, the water runs faster and the fish try to hunker down in a stable area. Checking conditions before you go will ensure a successful fishing trip. 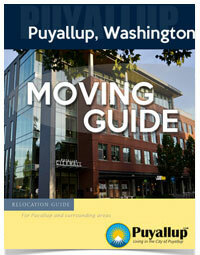 There are many access points for Puyallup River in the city. Most anglers fish for pink salmon at the lower part of the Puyallup River from 11th Avenue Bridge and upstream to the East Main Avenue and from the mouth of the White River. They can also fish for Pink Salmon on the Carbon River at numerous locations along the Foothills Trail. Also, McCutcheon Road provides plenty of access points to fish for steelhead and salmon. There is also a public access point is on the left side of 162 and 116th street. Make sure to be aware and respectful of other people who are also fishing on the river. Puyallup residents are fortunate to have a beautiful, scenic river that flows through the city and provides the people of the city a relaxing area to fish. There are many access points along the river that are easy to get to and easy to find parking. Most people fishing for Steelhead are successful when fishing on the Puyallup River. Fall fishing is some of the best fishing of the year so make sure to get out there while the weather is still good. If you have any favorite fishing spots, share them with us on Twitter!